The started out as the St Michael’s Blues, a school based Auskick program based in Lane Cove. In 2007 an ex Victorian had a vision; to bring AFL the Lane Cove region. Steve Chisholm was a long time Lane Cove resident but felt the kids in the region needed a club of their own so they could play Australia’s indigenous game. He knocked on the doors of all the local schools and lobbied the NSW AFL. He eventually started an Auskick programme at St Michaels Primary School; which was amazing considering his son was too old for Auskick. Steve was ably assisted by Roger Caine. Each year they managed to persuade more and more members to join up. This eventually led to the formation of an Under 9 and 10’s team. In 2011 Steve Chisholm met another ex Victorian who had a similar vision of AFL in Lane Cove, but on a bigger stage. Enter Nick Brumley who turned the St Michaels Blues into the the club we know today, the Lane Cove Cats. The club as gone from strength to strength ever since. In 2013, it was recognised for its great Auskick program, with Paul Schofield being awarded the GSJAFL North Shore AUSKICK Coordinator of the Year award. He also picked up a national award; the NAB AFL Auskick Volunteer of the Year. That was followed up by Nick Brumley picking up the GSJAFL North Shore AUSKICK Coordinator of the Year in 2015. The club moved around a bit in the early years under Steve. Initially at Burns bay Reserve, they eventually moved to their current destination., Blackman Park. In 2012, the Lane Cove Council decided to upgrade the facilities by installing all weather synthetic field at the park. This also came with new storage facilities, which was becoming an issues for the growing club. By the 2015 season, the kids of Lane Cove had one of the best sporting facilities in the Lower North Shore. However, with the club growing strongly, the need for a full sized field was increasing by the year. 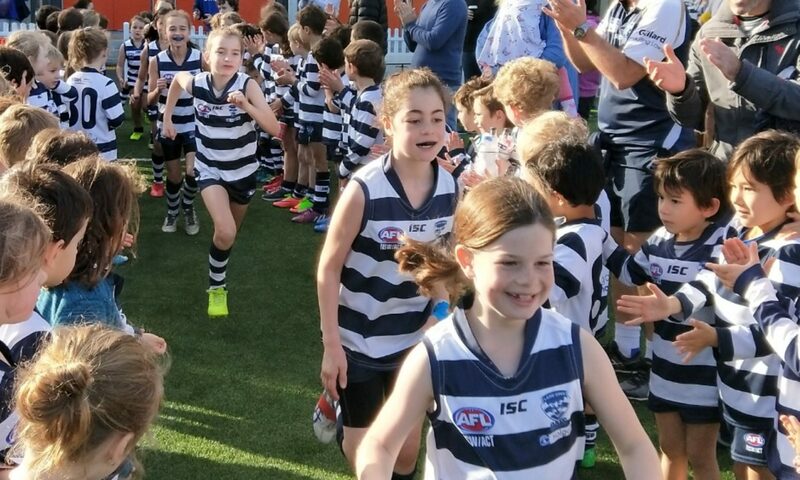 The club only had limited access to the AFL field on the synthetic field, thus restricting the ability to field U11 and above teams at the ground. However in late 2018, the council came to the rescue by upgrading the lower turf field to full sized AFL field. At 160m, it is the same size as the MCG, and even larger than the SCG, thus allowing us to play youth football.